This product is a bundle. The Pioneer Blu-ray burner drive model number is BDR-2209. The retail box includes an installation disc and quick installation guide documentation. The front bezel is black. 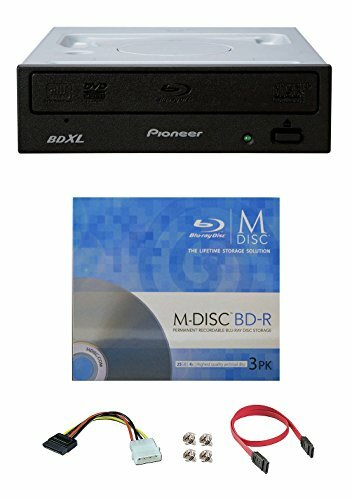 The bundle includes a 3 pack of Blu-ray MDISC BD, SATA cable to connect to your PC, a power connection cord to receive power from your PC, and 4 mounting screws to install the bare drive into your PC tower. The drive is 3D capable. All you need is 3D playback software and a 3D display system.